Story Behind This Painting: My husband and I took a river cruise in Luxembourg and Germany at the end of 2017. 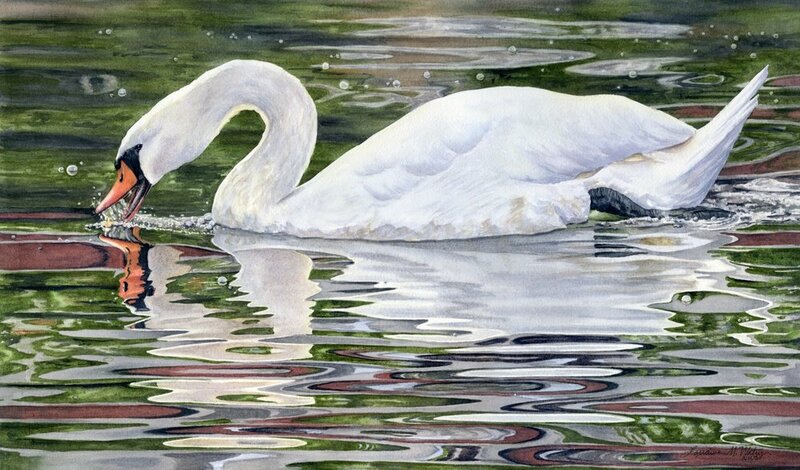 This is one of the many swans we saw along the rivers of the Rhine and Rhone during the trip. I took many photos and loved the reflection of the swan and bubbles created by the swan as it scooped up some water.